No trip to Windsor could possibly be complete without a visit to amazing Windsor Castle, the family home to British kings and queens for over 1,000 years. The size of the Castle (5 hectares/13 acres) is breath taking, in fact it is the largest and oldest occupied Castle in the world and it’s where Her Majesty The Queen chooses to spend most of her private weekends..
You might even time your visit when she is in residence! Look at the flag flying from the Castle’s Round Tower; if it’s the Royal Standard The Queen will be there too. Windsor Castle offers something for everyone, and with so many areas to explore please allow at least 2.5 to 3 hours to see it all. Visit the magnificent State Apartments furnished with some of the finest works of art from the Royal Collection, including paintings by Rembrandt, Rubens and Canaletto. Take in the splendour of St George's Chapel, the burial place of 10 monarchs including Henry VIII and Charles I, and one of the finest examples of Gothic architecture in England. Please note, worshippers are welcome to attend the Sunday services at St George's Chapel but the chapel is closed to general visitors on Sundays. Be amazed at Queen Mary's Dolls’ House, the largest, most beautiful and most famous dolls’ house in the world, created in the 1920s and filled with thousands of objects made by leading craftsmen, artists and designers of the time. Join a free Precinct Tour with one of the Castle’s wardens when you first arrive and get the most out of your visit to Windsor Castle. Imagine being entertained by royalty in the Semi-State Rooms, the spectacular private apartments open to visitors from September to March each year. Richly decorated, they are used by The Queen for hosting her guests. The additional five rooms that make up the Semi-State Rooms will close to the public on Sunday, 25 March 2018. Stand to attention whilst watching the Changing of the Guard! A colourful spectacle of British Pageantry (see below for schedule). With so much to see and do in Windsor Castle, visitors wishing to leave the Castle for refreshments and shopping in the town centre may obtain re-entry permits from the Castle shops or the audio return point. On 27 January, experts in conservation from across the Castle will be on hand throughout the State Apartments and St George's Chapel to share their extraordinary work with visitors. Whether repairing delicate porcelain, applying gold leaf, or restoring paintings, the conservators' skills can reveal fascinating insights into the precious collections and interiors of Windsor Castle. See the Royal Collection website for further details (www.royalcollection.org.uk). The privilege of guarding the Sovereign has been carried out since 1660. Weather permitting, the ceremony begins at 11am and lasts approximately 30 minutes. Over the past few years the Royal Collection Trust has been busy transforming the experience of visiting Windsor Castle, and in 2019 visitors will begin to enjoy the first of many improvements. The medieval Undercroft will be transformed into the Castle’s first permanent café, and the ground floor of the Castle will be opened up, reinstating George IV’s entrance hall and giving visitors the chance to experience the State Entrance, where The Queen’s guests arrive. A new introductory space will tell the story of the Castle’s 1,000 years of history, and step-free access will be introduced throughout the visitor route. In 2020, improvement works on the Admission Centre and visitor facilities are due to be completed, together with a new dedicated Learning Centre within the Castle’s precincts. Find out more about the Royal Collection Trust's £27 million investment in the visitor experience at Windsor Castle. Take in the splendour of St George's Chapel, Windsor Castle, location of the wedding of Prince Harry and Ms Meghan Markle, the burial place of 10 monarchs including Henry VIII and Charles I, and one of the finest examples of Gothic architecture in England. Please note, worshippers are welcome to attend the Sunday services at St George's Chapel but the chapel is closed to general visitors on Sundays. Imagine being entertained by royalty in the Semi-State Rooms, the spectacular private apartments open to visitors from October to March each year. Richly decorated, they are used by The Queen for hosting her guests. The additional five rooms that make up the Semi-State Rooms will reopen to the public on Friday 26 October 2018. See the wedding outfits worn by the Duke and Duchess of Sussex at a special exhibition at Windsor Castle from 26 October 2018 until 6 January 2019. Celebrate Christmas at Windsor Castle. The highlight of the display will be the magnificent 20-foot-high Nordmann Fir Christmas tree in St George's Hall, taken from Windsor Great Park and entirely dressed in gold decorations. Wreaths and garlands decorated with gilded fruits and sparkling lights will transform the State Apartments and Semi-State Rooms. Book your tickets in advance and avoid the queues! Visit the official Royal Collection website then print your tickets at home before you arrive. You can bypass the tickets queues by joining the ticketholders line in the Castle’s Admissions Centre. 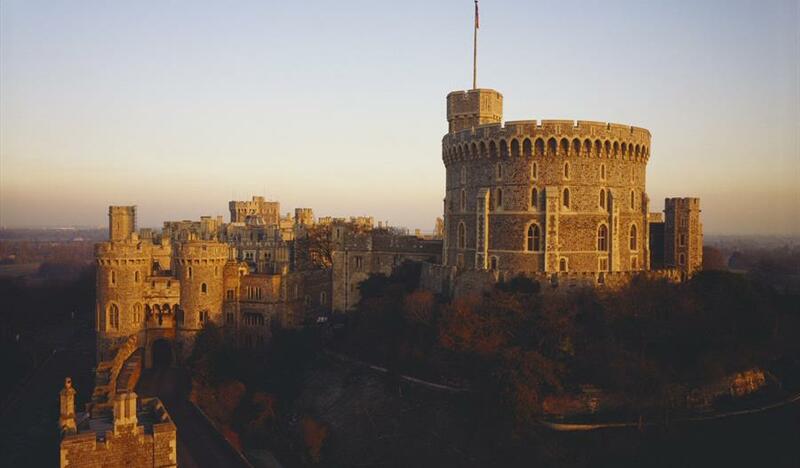 Check if your accommodation provider is part of RBWM’s Concierge Scheme and book your Windsor Castle ticket in advance courtesy of your hotel or guest accommodation. Don’t forget to convert your Royal Collection ticket into a one-year pass so you can visit again within 12 months – there’s always something new to see (don’t forget to bring some ID with you). Check which flag is flying from Windsor Castle’s round tower – if it’s the Royal Standard then The Queen is in residence when you’re visiting! Windsor Castle is a working palace and can close fully or partly at short notice for any reason; always check the provisional closure dates below on a regular basis. Consider the winter months as a great time to visit; you’ll see the Semi-State Rooms at no extra charge and the State Apartments are beautifully decorated for Christmas. If the State Apartments are busy on the day you visit, why not explore beautiful St George’s Chapel first? The chapel is closed to visitors on Sundays (but open to worshippers). Visiting with children? You’ll find a whole range of family activities taking place each month at Windsor Castle. Don’t forget to pick up your free multi-media guide to help you get the most out of your visit to Windsor Castle – it's available in many different languages and there’s a family version too! Look out for special tours throughout the year including Conquer the Tower and private evening ‘behind the ropes’ tours (the latter must be booked in advance). French Brothers run boat trips on the River Thames from Windsor, Runnymede and Maidenhead. Choose from a short return trip or a full-day cruise. French Brothers were the winner of Best Inland Canal/Riverboat Operator in the 2012 Group Travel Organiser Magazine Awards, and have recently been awarded Tripadvisors certificate of excellence. 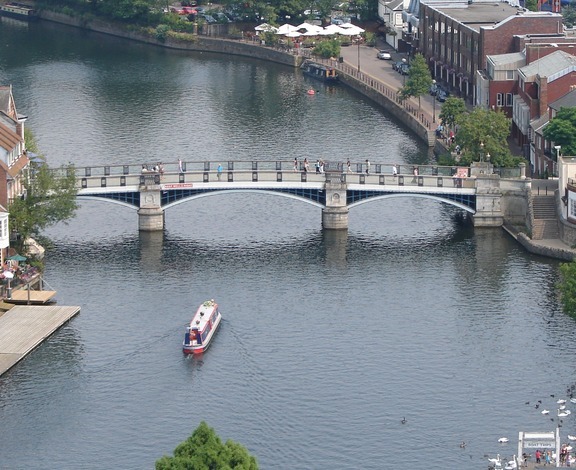 There are 2 scheduled services offering visitors to Windsor the opportunity to arrive in style – by boat with regular sailings from Maidenhead and from Runnymede. An additional service is available from Runnymede that travels to Hampton Court. The highlight of the year is Royal Ascot in June with five days of tradition, pageantry and style. Indeed Queen Anne's gift to racing, founding the Royal Racecourse, is marked by the tradition of opening Royal Ascot with the Queen Anne Stakes. Outside of Royal Ascot, spectacular racing takes place throughout the year, each raceday offering a unique theme and atmosphere including the King George VI Weekend in July, a Beer Festival in October and a Fireworks Spectacular in November, as well as four dedicated family racedays and much more. It’s a perfect family day out with free admission for all accompanied children under 18. Royal Ascot is a highlight of the summer social season and is certainly a must-attend event of the year and a quintessentially British day out. These are five days made for socialising. 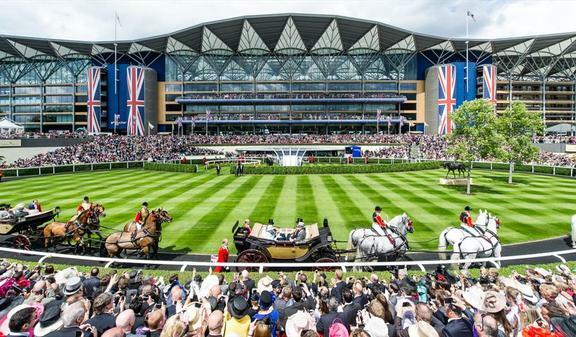 Experience all the elements of Royal Ascot in 2019: the racing, the pageantry, the dining and the style! Every day of the Royal Ascot meeting – from Tuesday to Saturday – is attended by The Queen and members of the royal family. The Queen is a dedicated racehorse owner and has attended every Royal Ascot during her reign. The Queen and the royal party depart Windsor Castle in a fleet of cars and travel along the Long Walk into Windsor Great Park. They change from cars to horse-drawn Ascot Landaus then the royal procession makes its way down the Straight Mile of Ascot Racecourse. The royal procession is always an iconic moment to herald the start of every raceday and it has taken place every year since 1825. Royal Ascot is Britain’s most valuable race meeting, attracting many of the world’s finest racehorses to compete for more than £7.3 milllion in prize money. Eighteen Group races, eight of them in Group One, have made legends of the finest thoroughbreds. Black Caviar, Frankel, Yeats – all are Royal Ascot winners turned household names. There are four enclosures to choose from, each with its own individual character, and all put you at the heart of the racing action: the Royal Enclosure, the Queen Anne Enclosure, the Village Enclosure and the Windsor Enclosure. Find out more about the various enclosures and how to book tickets. The Thursday of Royal Ascot is the day of the historic Gold Cup. It’s Ascot’s oldest surviving race and the winning owners still receive a gold trophy to keep. The term Ladies’ Day was first coined in 1823 when an anonymous poet described the Thursday of the Royal Meeting as "Ladies’ Day … when the women, like angels, look sweetly divine." Thursday is vibrant and celebratory. The dates for Royal Ascot 2019 are Tuesday 18 June to Saturday 22 June 2019. Gates open at 10:30am, The Queen arrives by carriage at 2pm, the first race is a 2:30pm and the last race is at 5:35pm. And it’s more than just racing! In addition to the themed racedays mentioned above, Ascot Racecourse is also home to other events such as the Luna Cinema. Ticket prices: Ascot Racecourse ticket prices start for £18 per person and generous group and advance discounts are available. Visit www.ascot.co.uk for more information on ticket prices and ticket types. 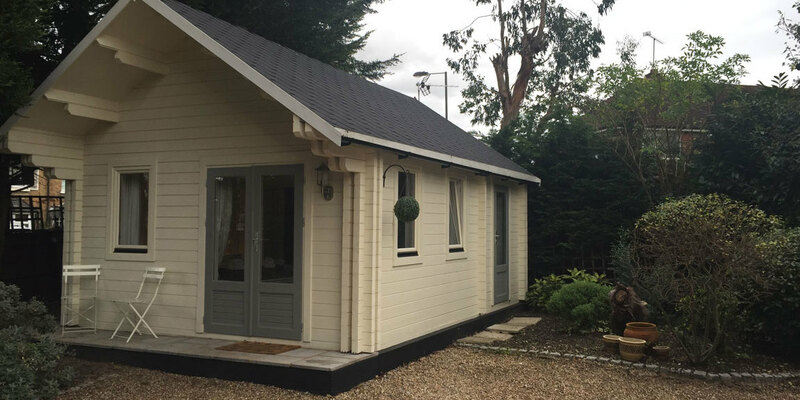 It is no surprise that this area is frequently used by filmmakers given its proximity to London and with Pinewood and Shepperton Studios just 20 minutes away. Bray is the home of Bray Film Studios, made famous in the 1950s and 1960s by the Hammer House of Horror Productions including Dracula. More recently it was where Alien was made in 1979. Here is just a small selection of the most well known films and TV series the borough has been proud to host over recent years. Inspector Morse (TV 1987) – St Michael’s Church and the Crown pub. The Windsor and Eton area is a fascinating place to tour and is full of sightseeing opportunities. There are many fun ways to discover more about its history: an open-top bus tour, a boat trip on the River Thames, a horse-drawn carriage ride in Windsor Great Park, a kayak tour or as part of a blue badge guided walking tour. Tickets for many tours are available in person from the Royal Windsor Information Centre and via the Windsor Online Shop. You can even download our free self-guided heritage trail [PDF] to Windsor and Eton or discover one of our new walkways. 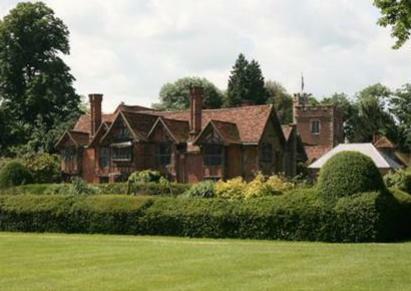 The Royal Borough has a rich heritage for you to discover. Our professional and knowledgeable Blue Badge Guides have achieved the highest guiding qualification in the UK. Any group – large or small – can be guaranteed a fun and informative tour of Windsor and the local area. Find out more about guided tours. Experience the Windsor area from the comfort of a horse-drawn carriage. 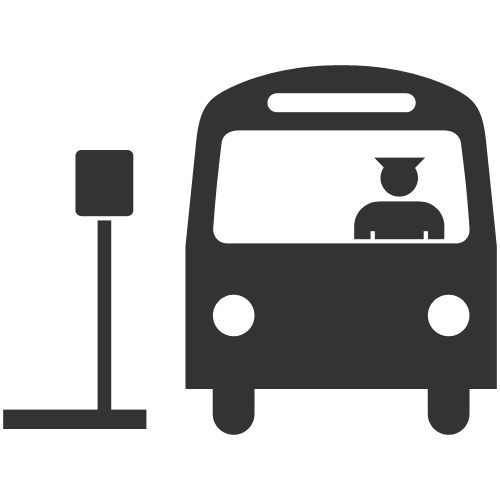 Two companies operate rides: Windsor Carriages in Windsor town centre and the Long Walk/Windsor Great Park and Ascot Carriages in Windsor Great Park (The Savill Garden). Carriages can also be hired for private events. A City Sightseeing open top double-decker bus tour is a convenient, fun and interesting way to explore the Windsor and Eton area. The circular tour route lasts for 1 hour with pre-recorded English commentary. Two buses now offer multi-lingual commentary. Tickets are valid for 24 hours allowing visitors to get hop on and off the bus at the 11 stops of interest along the route. Windsor Duck Tours offer fun tours on new, purpose-built, amphibious vehicles whereby you can combine a road adventure with 'splashdown' into the River Thames. There is nothing more relaxing than enjoying the River Thames by boat. Hire a craft for an hour, a full day or longer. Experience a guided kayak tour and explore the river. Hire a luxury boat with skipper provided, join a passenger boat with onboard commentary or enjoy a meal as you float down the river. The choice is yours! Explore Windsor at your own pace by downloading our Heritage Trail. It takes in the historic parts of Windsor, around the walls of Windsor Castle, down towards and over the River Thames and into Eton. A printed version is also available from the Royal Windsor Information Centre for a small administration fee. On 9 September 2015, The Queen became the longest reigning monarch in history: 63 years, 7 months and 3 days. In recognition of this monumental event, the Outdoor Trust created a new symbolic 6.373km Queen's Walkway linking 63 of the towns best attractions, parks, features and views. Or download Windsor’s History & Parks Treasure Trail, a unique way to explore Windsor and discover its historical past. You’ll get to go to places that you may never have known existed. Can you follow the route and solve the clues? Tours of Windsor Castle and St George's Chapel are self-guided. An audio tour, which lasts approximately 2 hours, is included in the ticket price and is available in English, French, German, Spanish, Italian, Japanese, Chinese and Russian. Guided tours of the Castle Precincts are available at regular intervals throughout the day. Precinct tours last approximately 30 minutes and depart from the Admissions Centre. The tours are included in the ticket price. Conquer the Tower Tours and Tours of the Great Kitchen are available in the summer months. Special tours are also available for pre-booked groups. Companies offering full-day tours out of London include Evan Evans Tours and Golden Tours. Up to 30,000 spectators a day enjoyed the rowing, canoe and kayak events at Eton Dorney during the London 2012 Olympic and Paralympic Games. Dorney Lake welcomes visitors, particularly from the local community. If events are taking place, access may be restricted without notice to either specific areas of the site or the whole site for safety or security reasons; visit www.dorneylake.co.uk for further information. If you have an enquiry about accessing the venue as part of a group, please email Amanda Bryett from the Blue Badge 2012 Committee. This beautiful Edwardian theatre nestles between Windsor Castle and the River Thames and is the only unsubsidised producing theatre to operate all year round in Britain. The repertoire is wide, ranging from the classics and traditional pantomimes to first productions of new work. This intimate theatre boasts Bill Kenwright as its producer and audiences are treated to new productions before they transfer to the West End or go off on tour around the country. 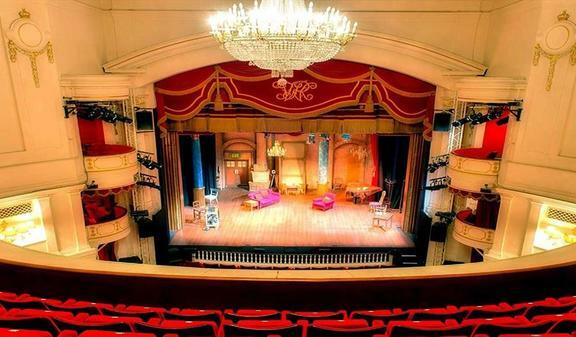 Theatre Royal Windsor has gained a reputation for the quality of its productions and is currently one of Britain's leading theatres. Its traditional pantomime is considered one of the best in the country. Evening shows start at 8pm, Saturday matinees at 4.45pm and Thursday matinees at 2.30pm unless otherwise stated. Sunday concerts are often running. Travelling to and around Windsor is relatively easy using public transport. From London the Green line coach station, which is located behind the London Victoria Train Station will bring you to Windsor. There are various stops and boarding points on the journey including Hyde Park Corner, Kensington High Street and Olympia. Visit http://www.rainbowfares.com/maps/index.htm for more information. First Bus Service (route 77) runs between Heathrow Central Bus Station and Windsor. Monday – Saturday the service runs twice hourly until late, on Sundays the service runs once an hour. The journey takes around 40 minutes. The bus station is located directly above the Underground station at Heathrow Central. Windsor has excellent rail connections and has two stations, both centrally-located and recently renovated. Up-to-date train timetables can be found on Railtrack’s website. You can also call the national rail enquiries 24-hour phone line on 0845 484950. Windsor Central Station is located just opposite the Castle. Trains from this station connect with the mainline station at Slough, a few minutes journey. At Slough you can change for London Paddington or travel west towards Reading and Bristol. There is also a direct link to Oxford from Slough station. This is the fastest way to get from Windsor to London, although you will need to take a short underground journey from Paddington if you are travelling on into central London. Windsor and Eton Riverside Station is located at the bottom of the hill below the castle. Trains from this station travel directly to London Waterloo roughly ten to the hour and twenty past the hour, a journey of approximately 55 minutes. Eurostar services to and from Paris, Brussels and Lille arrive and depart from Waterloo.